BETAT Casino is a Malta based gambling site completely dedicated to providing casino games with a focus on a great customer experience. 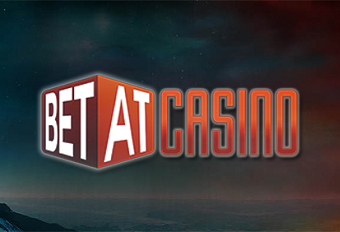 As you’ll find from this BETAT Casino Review, they are committed to standing apart from other online casinos by offering faster payouts, no payment fees and no wagering requirements on winnings. BETAT Casino is fully registered under the laws of Malta and regulated by the Malta Gaming Authority. UK players can be assured that it is licensed by the UK Gambling Commission. Slots are most featured at BETAT Casino with something that will suit every player. There are story driven epics with the best graphics and classic games based on fruit machines. You’ll find all your favourite faces from the movies and the biggest rockstars to play along with and win big prizes. At the table games you’ll find lots of options to play all the classics like Poker, Blackjack, Baccarat, Craps and Roulette. There is also a choice of Video Poker options such as Deuces Wild, 10 Hand All American and Jacks or Better. Roulette and Blackjack are available to play in the Live Casino where you can experience fast play in real time just as if you are in a real casino. The friendly dealers are ready to take your bets and communicate with you via the latest streaming technology. Unique to BETAT Casino is the Hot and Cold feature which lets players see which games are paying out the most or the least in real time. This allows the player to join in a game that’s on a hot streak or play the long game for the biggest wins by being a part of a cold game’s rise. This is exemplary of BETAT’s commitment to transparency and fair gaming but does not guarantee a hot game will stay hot or a cold game will improve. Many of the games have a practice feature so you can familiarise yourself with the gameplay, if you are a novice, without having to bet any real money. Unlike many online casinos who provide this feature, this doesn’t just apply to the slot games. You can also practice the non-live table games so you can improve your game without using your deposit. With big name providers such as Microgaming, NetEnt, Genesis Gaming, NextGen Gaming, gamblers are sure to have great gambling experience with BETAT Casino. If you have a favourite provider, a drop-down menu will take you straight to their particular games. Even the classic slots based on fruit machines have the best sound and graphics and there are a wide variety of art styles. BETAT Casino is fully optimised for the smaller screens of mobile device and the home page features a handy QR code to provide a quick transition to the mobile version of the website. Alternatively you can access it from your device’s browser. Players can be sure of fair gaming with regular audits carried out by Technical Systems Testing and the Swedish National Laboratory of Forensic Science. By having more than one audit, BETAT Casino further show their commitment to honesty and transparency. New players can benefit from a Bankroll Boost Welcome Bonus, meaning BETAT Casino will double their first deposit up to £500. While £500 is the upper limit, lower rolling gamers can deposit as little as £20 which will then be doubled up to £40. There are also 50 free spins to be had on the game Starburst with your deposit bonus. If you’ve already enjoyed your Welcome Bonus, keep checking back with the promotions page where there is always something new to participate in. Currently BETAT Casino are celebrating the launch of Highlander, a slot based on the cult classic film. They are guaranteeing a cash prize of £300 every day throughout the month of December. Also, for every £30 bet players will be given a lottery ticket that enters them into a prize draw where 12 winners will share a £20,000 jackpot. You’ll also enjoy all sorts of seasonal bonuses, cashback and goodies to keep you entertained all year around. Even with an ethos for fair gaming and transparency, these promotions are still subject to terms and conditions. Luckily, BETAT Casino’s small print is not so small and uses clear, concise language. As well as being able to make a transfer using your card, secure e-wallet options are also available such as NETELLER, Skrill, Paysafecard and Zimpler. BETAT Casino carries VeriSign and GeoTrust seals ensuring the players total security of their funds. SSL encryption technology protects personal and banking details makes sure they are kept safe from attacks. BETAT Casino like to stand apart from other casinos by not tying your bonus money to your winnings or deposits meaning there is no waiting to complete wagering requirements to withdraw your real money. This is in stark contrast to casinos that add bonuses to the same balance and require you play as much as 50x to access that money, potentially incurring losses. Without these requirements, BETAT Casino can easily offer a speedy withdrawal time of just 4 hours. Anyone stuck on BETAT Casino should be sure to check out their Knowledgebase where many FAQs are answered. If the problem is still not resolved, you can get in touch with the specially trained customer support team who are available on Live Chat 24/7 which has a clear complaints procedure. BETAT prides themselves on hiring quality employees who will respond not just to technical problems but can also spot the signs of gambling addiction and know how to approach such a situation. It’s no surprise that because of all this, BETAT have won awards for their customer service winning the 2015 Casinomeister award and receiving seals of approval from Ask Gamblers and Online Casino Reports.